Jacques Schoenberg travels to Pittsburgh regularly for business, but his most recent trip had an added significance. 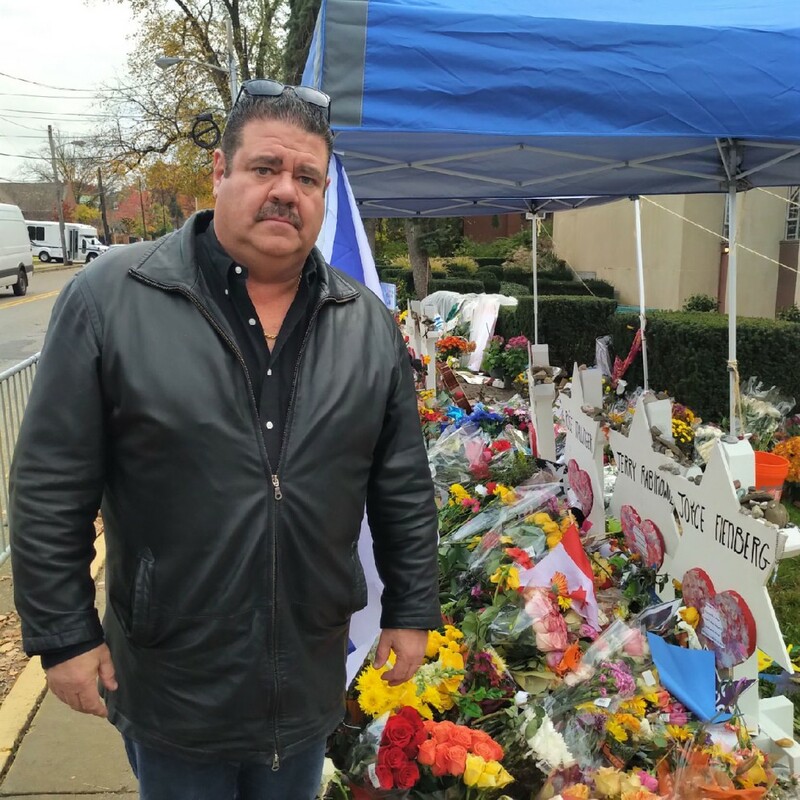 In anticipation of his early November visit, Schoenberg approached Hamilton Jewish Federation CEO Gustavo Rymberg with an offer to bring a message of love and support from Hamilton to the Pittsburgh Jewish community. On Nov. 8, Schoenberg hand-delivered an envelope on behalf of the Hamilton Jewish Federation and the Jewish National Fund to the offices of the Jewish Federation of Greater Pittsburgh. From there, his customer drove Schoenberg over to the Tree of Life Synagogue. "It was extremely painful being there, but consoling at the same time." wrote Schoenberg in an email to the HJN. "It was nice to see so many inter-faith memorials at the shul and the support of that community" At the same time, he continued, visiting the memorial at the synagogue affected him "the same way that I felt when I saw Auschwitz 20 years ago."